He then stormed off, telling the reporters: "You make me so sick." 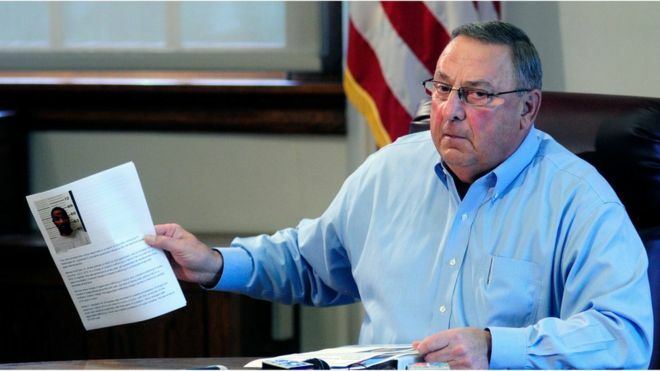 Maine daily newspaper the Portland Press Herald has reportedly filed a Freedom of Information request for the governor's binder. "I'd like him to come up here because, tell you right now, I wish it were 1825," Mr LePage said. "And we would have a duel, that's how angry I am, and I would not put my gun in the air, I guarantee you... I would point it right between his eyes, because he is a snot-nosed little runt and he has not done a damn thing since he's been in this legislature to help move the state forward." The Portland Press Herald published FBI statistics which show that 1,211 people were arrested on charges of drug sales or manufacturing in Maine in 2014. Of those, 170 - 14.1% - were black, and almost all the rest were white. At a State House press conference, Mr LePage said he was "enormously angry" at being called a racist, and restated his earlier remarks which cast Maine's drug problem in racial terms. He said: "When you go to war, if you know the enemy and the enemy dresses in red and you dress in blue, then you shoot at red." He added: "You shoot at the enemy. You try to identify the enemy and the enemy right now, the overwhelming majority of people coming in, are people of colour or people of Hispanic origin." 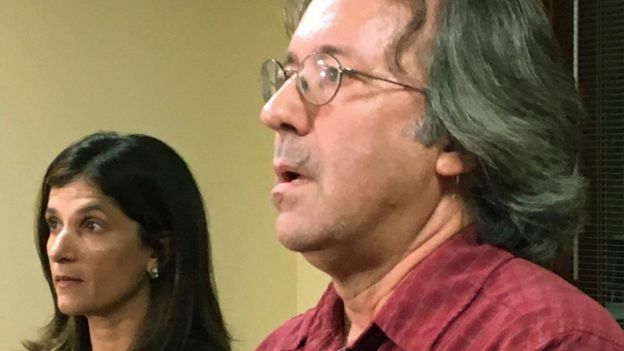 Representative Sara Gideon of Freeport, the assistant House Democratic leader, said: "We strongly and regretfully feel that he is unfit to serve as governor of the state of Maine right now. "We have real concerns and reservations about how we move forward together as lawmakers as well as Maine people."